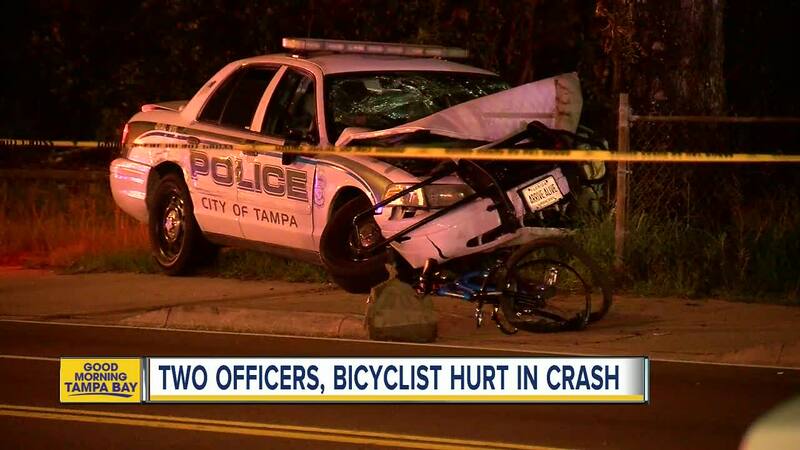 TAMPA, Fla. — Two Tampa Police officers were injured in a crash Wednesday night while responding to a call for service. According to TPD, at 10:45 p.m. the officers were responding to a call when they swerved to avoid traffic entering their lane of travel. The cruiser struck a tree near E. Martin Luther King and N. Suwanee Avenue. 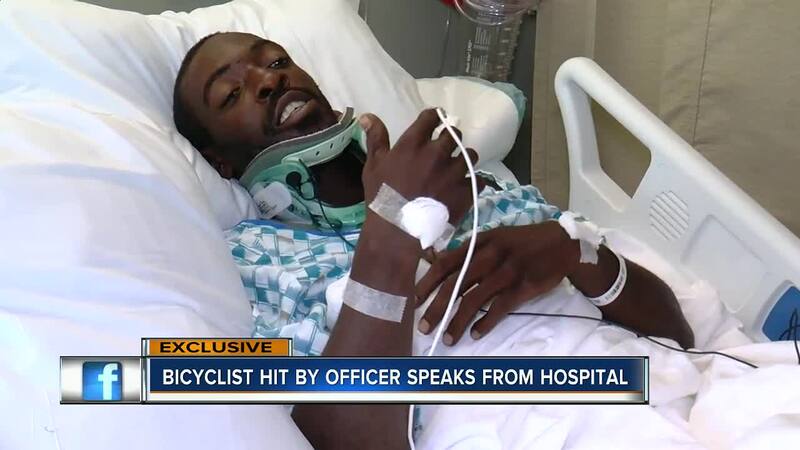 The officer and his passenger, a reserve officer, were transported to the hospital with injuries, as a result. Both officers have been released from the hospital. A bicyclist, identified as Michael Harris, 31, traveling eastbound on E. Martin Luther King was also struck as a result of the crash, and was transported to the hospital with non-life threatening injuries. TPD said Thursday morning that the bicyclist is still in the hospital with non-life threatening injuries. Tampa Police are in contact with the driver of the second vehicle involved. The investigation, as it relates to that driver, is ongoing. E. Martin Luther King Blvd from E. Central Ave. to N. Florida Ave. was closed for several hours while police investigated. As of Thursday morning, they have reopened in all directions.